AleaSoft, July 11, 2018. News published in the Spanish newspaper Expansión. Large consumers of electricity are having a serious problem with the high prices of the electricity market. Many contracts finish soon and the prospects for renewal at high prices introduce a lot of uncertainty. Which is the best alternative? All companies in the electricity sector and especially large consumers of electricity should have their own idea of the price of electricity in the short, medium and long term. Not only of the average hourly values but also the possible deviations that could occur. That is the only possible way to efficiently minimize the cost of consumption and have the risks covered against price rises like the one we are currently experiencing. 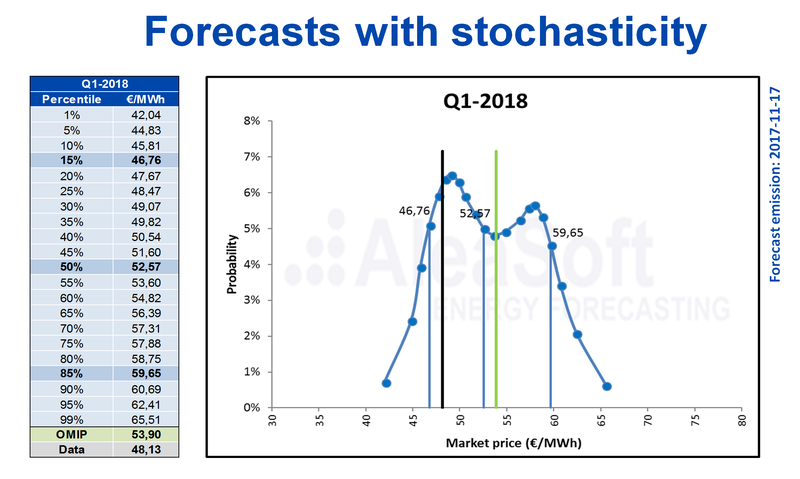 Currently, AleaSoft leads the supply of electricity market price forecasting services at European level with most of the main European companies in the sector as customers. 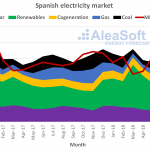 AleaSoft was founded in 1999 in the context of the liberalization of the European electricity markets and as a result of research projects carried out in a university environment. These projects were associated with Artificial Intelligence and applied to forecasting in the energy sector. AleaSoft’s client portfolio includes important electricity consumers with presence in several European countries. A common feature of these companies is that the electricity price is one of their most important costs. The minimization of the electricity expenses is a fundamental mission for this type of industry. For this type of clients, we provide short-term, mid-term with stochasticity and long-term forecasting for the different European markets, and we advise them so that they can make the most of the forecasts, also providing them with the future perspectives of the prices of the electricity market taking into account each conjuncture or scenario. 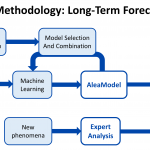 For an industrial manufacturer that is a large electricity consumer, short-term forecasting is necessary for the purchase of electricity in the market and for the planning of production and maintenance. On the other hand, mid-term forecasting with associated probabilities or stochasticity are required for the risk management and for the production and budget planning. And finally, long-term forecasting is indispensable for planning and management of long-term advantageous electricity supplies through bilateral contracts or PPAs. For the case of our clients who are large consumers of electricity, the use of AleaSoft services has been of great help to optimize the manufacturing of their products. For AleaSoft, the collaboration has meant a qualitative leap in new European markets completing the most important for the short, medium and long term forecasting. In addition, to AleaSoft it has been a fundamental experience to transmit this knowledge to other industrial companies that are large consumers of electricity.